Kusang never thought she would leave Tibet. Growing up in a remote mountain village, she married a monk and gave birth to two children. But then the Chinese army invaded, and their peaceful lives were destroyed forever. Thousands were tortured, prison camps were set up and Kusang's monastery was destroyed. The family were forced to flee across the Himalayas in the depths of winter, battling cold, fear, starvation and exhaustion. It took a month to reach India, where they were then passed from one refugee camp to another, all the while fighting hunger and disease. Kusang's husband and her younger child died, but somehow Kusang and her daughter Sonam survived. 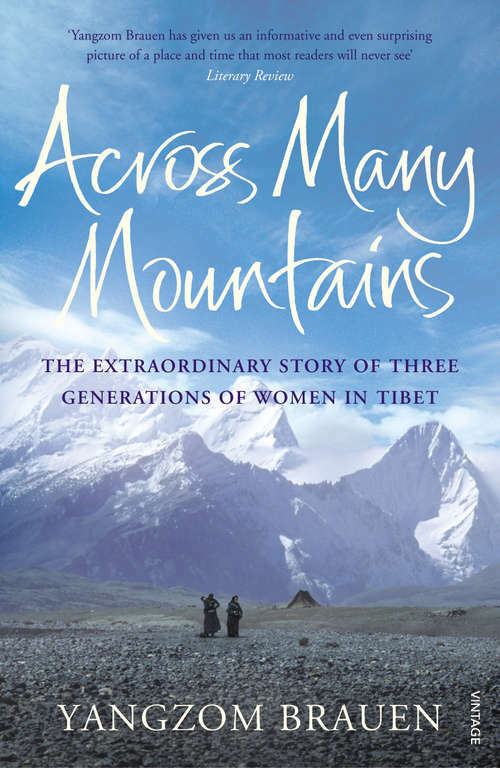 In Across Many Mountains Sonam's daughter, Yangzom, born in safety in Switzerland, has written the story of her inspirational mother and grandmother's fight for survival, and their lives in exile. It is an extraordinary story of determination, love and endurance.